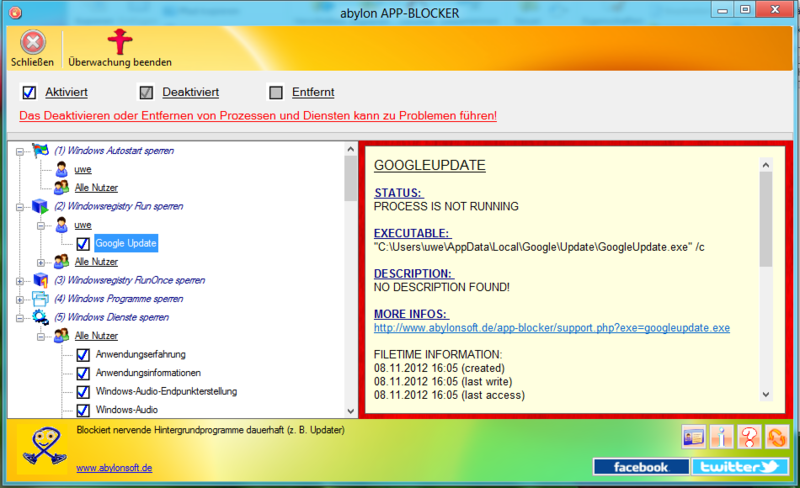 After logon under Windows, the computer starts many applications (APPs) automatically. The most time these processes for the user are not visible. A lot of APPs monitoring the computer, checking for updates or running periodic tasks. Any launched application requires a portion of the processing power, memory and slows down the computer. 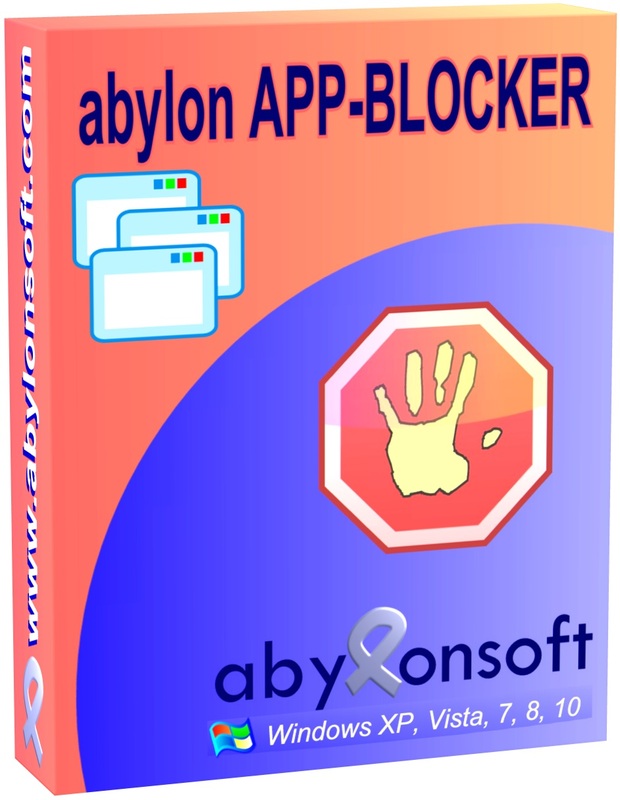 The software abylon APP-BLOCKER shows all applications clearly in a treeview, like the entries in the startup menu and registry, as well running services and processes. One click is enough to disable or remove the APP permanently. Thank you! I hope I can get it to work; last time i installed it, no programs or processes were shown. Ohh, sorry for the trouble. We hope that this time will work better. Compared to the last version we have a current development environment and .NET 4.0. Thank you, very good offer!